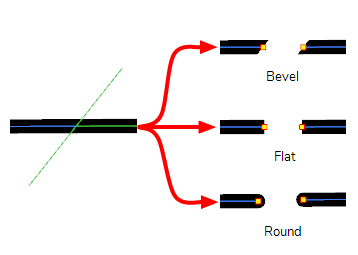 When cutting through pencil lines, this option decides what kind of pencil line tips to put at the extremities of the remaining pencil line segments, where they were cut. By default, this is set to Bevel , which will leave the tip of the pencil line cut at the same angle as your cutter stroke. If you prefer, you can make pencil lines that you split with the Cutter tool have Flat or Round tips instead. 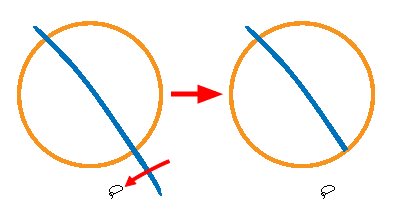 When this option is enabled along with the Lasso selection type, quickly drawing a line with the Cutter tool over a line segment in your artwork will instantly delete it. This can be useful if you want to use the Cutter tool to quickly clean up your artwork. NOTE This option will only work when using the Cutter tool on separate brush or pencil strokes. Hence, it is important not to flatten your artwork if you intend to use this option to clean up your drawings. This option has no effect on bitmap layers as the artwork in bitmap layers is always flattened. When working on bitmap artwork, enabling this will smooth the edges of the artwork you cut out, so that they do not appear pixelated. NOTE This option is only available with bitmap layers.